Opera browser for android smartphones and tablets is now out of beta version and is officially available for free on the Google Play store. Opera is known as the best and most popular browser for mobile devices since many years. When you’re using feature mobile phone having JAVA then you must have used Opera Mini browser to surf the web, right? Opera mini is also available for android devices but now a fully feature web browser is available too. According to developers and many users (like me) who have used this browser, it can be labeled as fast and free alternative to default android browser. I used this browser on my HTC One V with both Wi-Fi and 3G cellular data connection and found it working superb. 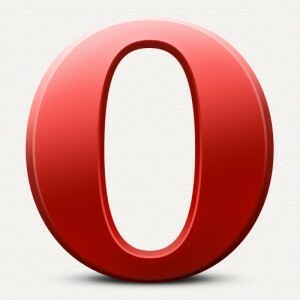 Here I start with my opera browser for android review. The very first feature which took me in Opera browser is the Off-Road mode. When this mode is on then browser starts loading browsing content in compact mode which saves data and also increase browsing speed. In India, 3G is still not available in all part of the country so when I move out of my city then I can shift the browser mode to Off-Rode that will not only decrease the data uses but will also increase the browsing speed. So, a good feature to have in a web browser for android as we all care for data volume and speed. When I’m at home I can turn this feature off and can surf the web at normal mode as I got Wi-Fi at my home. Next features to talk about is the UI of the app. Tools which is required while browsing web using android smartphone or tablet are all there in the Opera browser. All the tools are placed right at the place of use which makes using this browser very simple. You must be thinking of multi tasking (multi tab) feature now and off course it has got that packed in. You can dial to any mostly used website right from the start tab using Speed Dial. You can even edit and add your favorite website to the speed dial so that you can get to them easily. It even allows saving of different bookmarks in folders. You can get to the speed dial with easy swipe of your finger. It got an option labeled as “Discover”. In starting I didn’t have any idea about that but later when I used it then I found it impressive. I still doubt whether this feature will used or liked by all users but its good for me as it provides me all latest news and popular content from all over the internet right at one place. It even got in built download manager which got options to start, stop, resume, rename and save downloads. Last thing you must be thinking will be of security, right? Don’t worry about the security as Opera browsers are keeping web surfing safe since many years and this app has got best of the security codes in it. According to me, this browser app for android should get 5 out of 5 rating points. You should try it on your device even if Chrome is their on your device, as it provides more features than that. You can Download Opera Browser for android for free from Google Play Store.